Affiliate marketing or performance marketing is where you get a commission when you refer people to other companies. 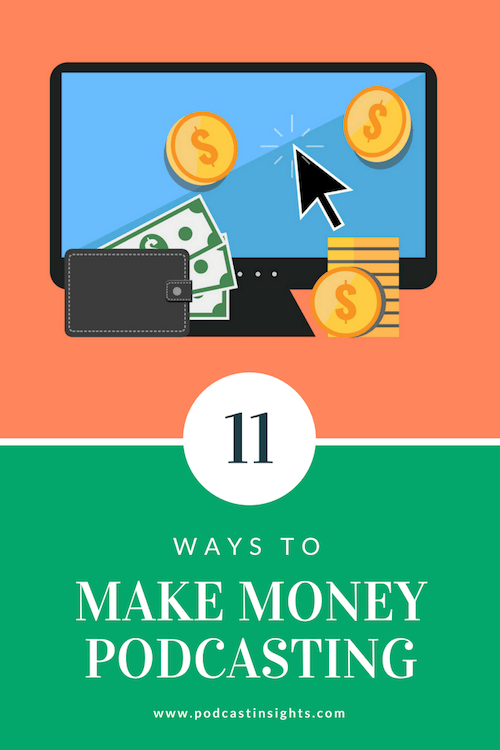 You will typically earn money when someone makes a purchase. Affiliate marketing works best when you promote products or services that you use or are familiar with, so you can authentically promote them. You could create your own “ad” spot to promote an affiliate offer if you don’t have the audience size for traditional sponsorships. Or you can naturally include a mention of a product or service as you deliver your regular content. There are affiliate programs for nearly every popular product or service. Amazon is one of the more popular programs, or you can also join a network like ShareASale where you can search and apply to join specific programs. Using a service like Pretty Links allows you to create short links that redirect to your special tracking link. This makes it easy to say a short, memorable URL on your podcast. It’s also helpful to create a WordPress blog so people can easily learn more and find all the different companies you mention. I use Buzzsprout podcast hosting for my podcast and if you sign up through my special link, Buzzsprout will give both of us a free $20 gift card from Amazon. Pretty cool if you ask me! If you want to learn more about how to do affiliate marketing honestly and effectively, check out this amazing (and free) affiliate marketing guide by Pat Flynn. When you download the guide, you’ll also get the chance to grab his 1•2•3 Affiliate Marketing for $200 off! Advertising and sponsorships are probably the first things you think of when looking for ways to make money from podcasting. 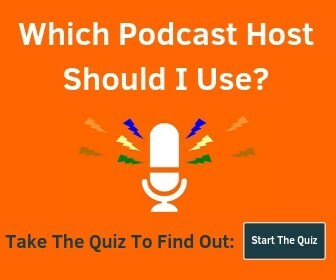 There are several different podcast ad networks that can connect you with advertisers. They do all the work of finding advertisers, negotiating rates, getting the script, and more. You usually need a larger audience of at least 5K or 10K listeners per month to work with them. One of the largest ad networks is Midroll, another popular network is Authentic, and many of the podcast hosting companies have their own networks as well. Another option that can work well if you have a smaller or more niche audience is to reach out directly to companies that would be a great fit for your audience. And like I mentioned on the podcast, Casper just came out with this parody: Casper The Podcast Sponsored By Casper (link goes to SoundCloud). Many popular podcasters create their own online courses to teach similar content to what they talk about on their podcast. Online courses are a great way to teach something in an easy-to-follow way where someone can get a specific result once they’ve completed it. It helps to have an email list so you can let your audience know about your course both on your podcast and through email. Check out the best email service provider for podcasters here. 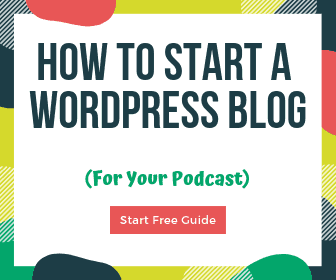 One example from me: I have a course called Podcast Website LaunchPad where you can learn to create a podcasting WordPress website like this one. It’s built on the Teachable course platform. Also, check out these courses to learn podcasting. You can offer services that tie in with the content on your podcast. I used to analyze and critique online ads on a podcast and the service I offered was Google AdWords and Facebook Ads management. By showing that I knew what I was an expert on the topic, people knew that they would get expert-level ad management. This made it much easier to get clients without having to “sell” them on my abilities. You could do something similar in many different industries. Coaching & Consulting is somewhat similar to offering a service, but you usually don’t do the work for them. Instead, you help or guide them on how to improve. Common industries that have a lot of consultants and coaches are fitness, diet, business, and teaching, but I’m sure there are consultants in every industry. You can ask for donations to help support you and your podcast. More entertainment-focused podcasts would be a good fit to monetize in this way. A common platform for accepting donations is Patreon. They make it really easy to offer additional content or bonuses depending on the amount of money people support you with. Have fun coming up unique ways to deliver additional value to your community for a few dollars per month. The Daily Wire is a podcast and news site that offers the video version of the podcast, live episodes, a tumbler, and other bonuses when you purchase an annual subscription. No matter what you think about the content they offer, this is a great example of premium content. Hosting events is not only a great way to make money, but bring together your best fans and bring them even more value. One example I heard of from Pat Flynn was the Walker Stalker conference. It was started by a podcast that talked about The Walking Dead TV show. They do events all over the world and even get the actors involved. That sounds awesome! Another example from Sam Harris combines Patreon and live events where when you become a Patron you can early access tickets to his live events. Physical products are things like t-shirts, mugs, and other swag. The Generation Why Podcast offers a ton of different products, plus premium content, and a very active Patreon page. You can use a site like Teespring to make sure you get enough sales before they get printed – that way you don’t get stuck with a bunch of products. Leveraging a popular podcast into book sales is another excellent way to make money and increase your authority. You can use your podcast audience to get those initial sales and reviews that will help your book stand out too. Pat Flynn wrote the WSJ bestseller Will It Fly? You can also be a guest on other podcasts to help promote your book when it launches. Many podcasters get approached for speaking gigs in their industry. It makes sense that if someone likes the what they hear on your podcast, you would most likely be a good fit to speak at conferences and live events (and get paid to do it). Speaking fees can range from a few hundred dollars (or just free hotel & attendance) to 6 figures or more. Speaking is another great way to increase your authority as well as getting exposed to a new audience that will hopefully become future podcast listeners. As you can see, there are many different ways to make money from podcasting. Combining a few different ways is a popular approach and you can always change and adjust your monetization methods over time. There is no “right” way to turn your podcast into a business, just the right way for you. Did I miss any monetization methods that you use? Or do you have a favorite? Let me know in the comments! Thanks for the comment Bernie. That’s interesting – haven’t thought about that, but it makes sense, and is definitely common the radio industry. That actually reminded me of another method, where people pay to be a guest on a show. Might have to add those soon!